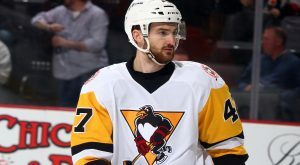 WILKES-BARRE, Pa. – The Wilkes-Barre/Scranton Penguins announced today that they have signed defenseman Jon Lizotte to an amateur tryout agreement for the remainder of the 2018-19 season. The six-foot, 210 lbs. blueliner just completed a four-year career at St. Cloud State University. In 147 games with the Huskies, Lizotte earned 10 goals and 36 assists for 46 total points. He was also a part of St. Cloud State’s NCHC Championship in 2016 and securing the NCHC’s regular season title in back-to-back seasons in 2017-18 and 2018-19. Lizotte, 24, topped the Huskies in plus/minus during his junior year (+20), and he was named to the All-NCHC Academic Team in all four of his years at St. Cloud State. Wilkes-Barre/Scranton’s next game is Friday, Apr. 5 against the Binghamton Devils. The Devils’ first visit to Mohegan Sun Arena at Casey Plaza this season is also the Penguins’ final Eyewitness News Fan Friday, with lower-bowl seating available for $14 and select draught beers on sale for $2 from 6:00 – 7:30 p.m. Puck drop between the Penguins and Devils is scheduled for 7:05 p.m.